Yes, lol, such a long blog post title, but I couldn’t choose just one word. Clearly I couldn’t even choose two! Perhaps you will think of a better title. Good! If you do, share it with me. I was on Facebook today, and noticed a photo and article a friend shared. Give it a look. It is compelling and joy-filled! Watching the video, I was struck by something I noticed and loved about Reggio Emilia and El Sistema – two educational systems/approaches I researched for my MA – a deep belief in the transformational power of what is being done. The soccer coaches are not teaching the girls to play soccer simply to play soccer, or even to become good at soccer. Yes, of course playing soccer is important, becoming good at it is important, but it is so much more! Education and creativity are like that, too! Yes, of course education is important for education’s sake, and creativity is important for creativity’s sake. BUT if we leave it there –if we stop at education, or creativity, or sports, without perceiving, and believing deeply, in the profound possibility that is found in them — we miss the opportunity to share, and be touched by, their transformational power. 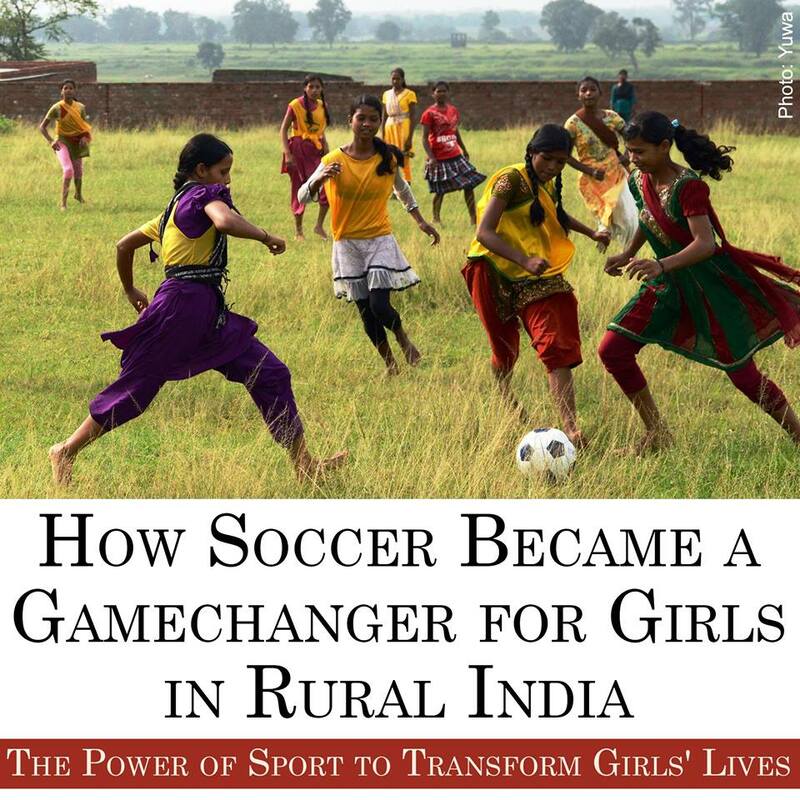 This entry was posted in Uncategorized and tagged creativity, education, El Sistema, perception, possibility, power, Reggio Emilia, sports, transformation, transformational power of creativity, transformational power of education, transformational power of sports, Yuwa-India by majfoil. Bookmark the permalink.